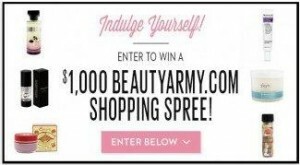 Enter to Win a $1,000 Shopping Spree!! How many of you could really use a $1,000 Shopping Spree?? Click here first to become a member!! address confirmed, you’re ready to enter. After you have joined then click here to find the giveaway! !